M·A·C Fluidlines and I have been best buds for quite some time now. They are my first gel eyeliners and are a dream to apply! All you have to do is dip the brush into the product, pull your skin taut and they glide right on. Although they apply a little moist, they do dry fast and stay put all day. Plus since they come in bright, funky colors, you can also use them as an eyeshadow base. Highly recommended! MAC Fluidline is available at Nordstrom and MAC stores and counters. Hey..stumbled on ur blog thru google…i had a query….well can u use d mac fluidline under ur eye…n i wud like to give a very bold gothic look to eyes widout gettin it smudged…wot do u suggest?? Thanks…i wud be glad if u can help me wid this! Sure you can use the MAC Fluidline for the gothic look! Whether you wanna smudge it or not is totally up to you. In fact, if you don’t want it to smudge, I say definitely say go with MAC since that baby hardly budges. Let me know if you have more questions! 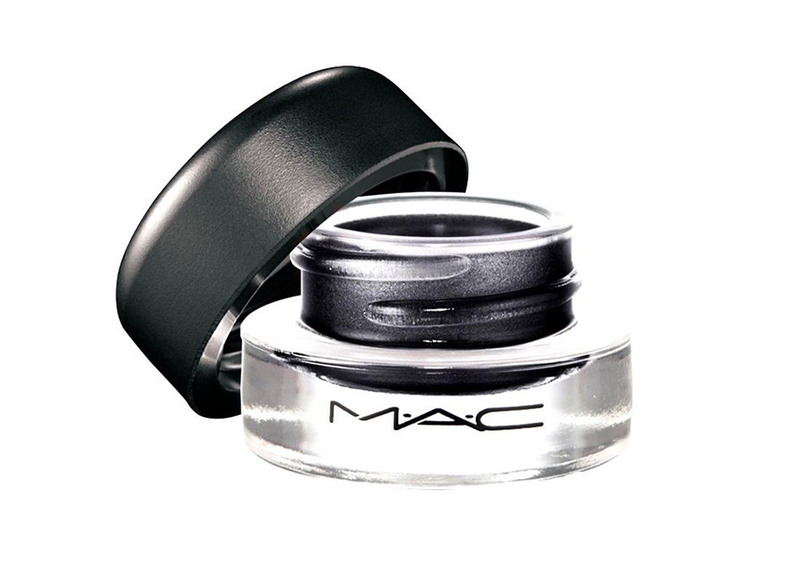 If you want something uber waterproof, just go with MAC Liquidlast Liner. To let you know your site is very great. I was wondering which store can you purchase the MAC’s fluidline? If it is possible can you e-mail it to me, my e-mail is kaozchang@gmail.com. I had been looking for a long time for some dark black eye linear that will last for a long time and the MAC’ fluidline sounds like it is the one. Thank You Very Much. Hoping to hear from you soon. i know you love the MAC fluidline, but how do you compare it against Bobbi Brown’s gel eyeliner? and what about MAC’s penultimate liner?